Purpleheart is one of the world's most unique woods in that it is truly purple and a bold purple color at that ! Very dense and with fine graining, it is used for its purple color. 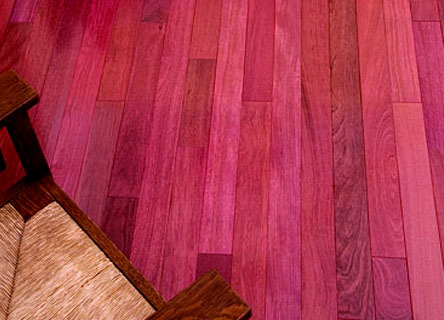 Purpleheart offers a medium range of color variability, which is mostly related to its aging process. Purpleheart undergoes an extreme degree of color change over time. When freshly milled or sanded, Purpleheart will be a brown color, which will change within a few days to a vivid purple color. Then over time ( 6 months+ ) the vivid purple will oxidize back to a brownish color with purplish highlights. Water based finishes tend to inhibit the full color change and hold more of the purple color. 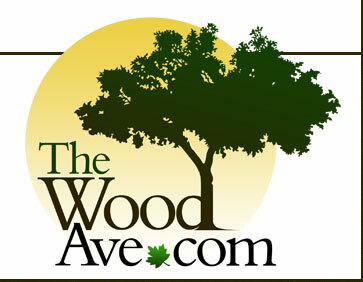 $3.49 sq ft. $4.49 sq ft.